When I first saw Essie’s new collection I was a bit shocked. 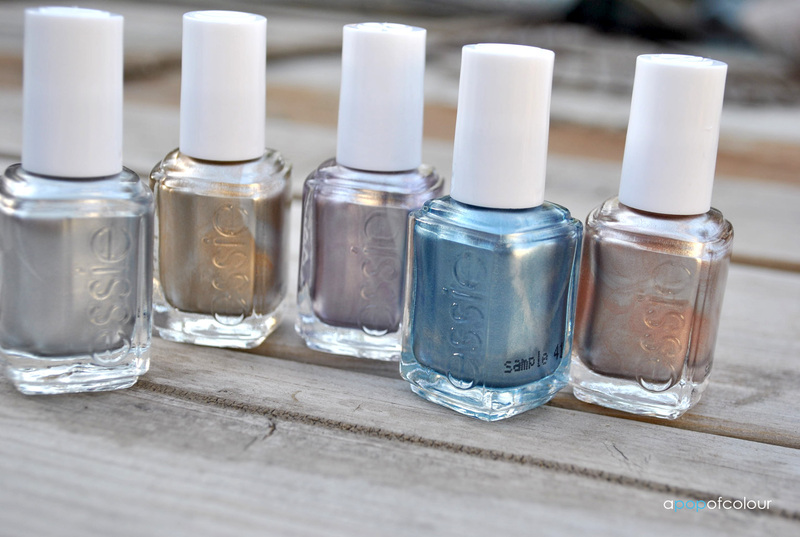 When I think of Essie nail polishes, the first thing that comes to mind are soft, pastel colours. So when I saw that they released a metallic collection, it caught me off guard. 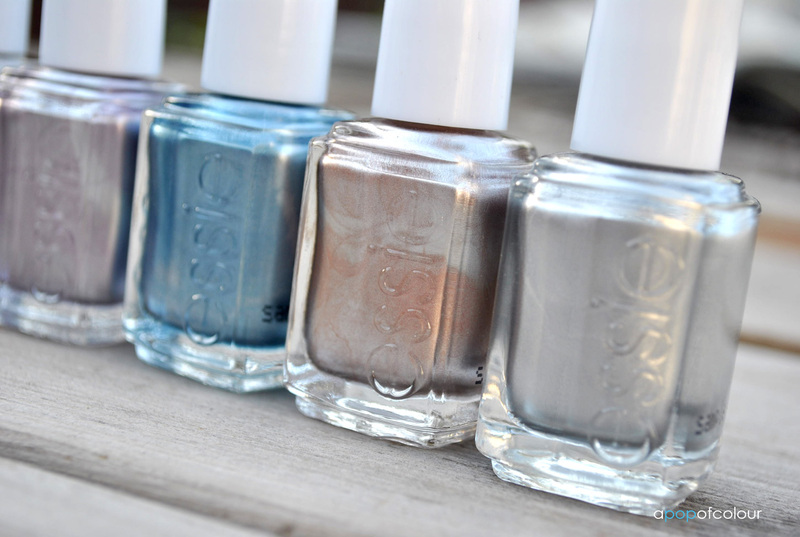 Essie’s Mirror Metallic collection consists of five hues, No Place Like Chrome, a “richly oxidized nickel”, aka silver; Good as Gold, gold; Nothing Else Metals, an “ultra-modern lilac alloy”; Blue Rhapsody, a “heavy metal air force blue”; and Penny Talk, a “statement-making incandescent copper”, which bears an uncanny resemblance to more of a rose gold. I’m going to be honest here, when I first saw the collection, I didn’t really like it. However, when I started trying out the colours, they are unlike anything I have ever used before. The formulation on these are great; not only are they opaque on one coat, but they dry fast, are super shiny, and extremely eye catching. I wore No Place Like Chrome with OPI’s Rainbow Connection over top for my birthday and they were a perfect match, my nails reminded me of ribbons (and it looked similar to Sally Hansen’s Real Nail Polish Strips in Frock Star). I think the real star in the collection is Penny Talk, as rose gold is super popular right now. The colour is very subtle at first but then when you start flashing your nails around it is so pretty to look at (plus, it matches my rose gold Michael Kors watch). Stay tuned for separate blog posts about all of these colours, coming soon. If there is one thing to keep in mind about this collection, it’s this: even if you don’t like metallic nail polish (like me), try it out anyways. The colour goes on way nicer than what’s in the bottle. 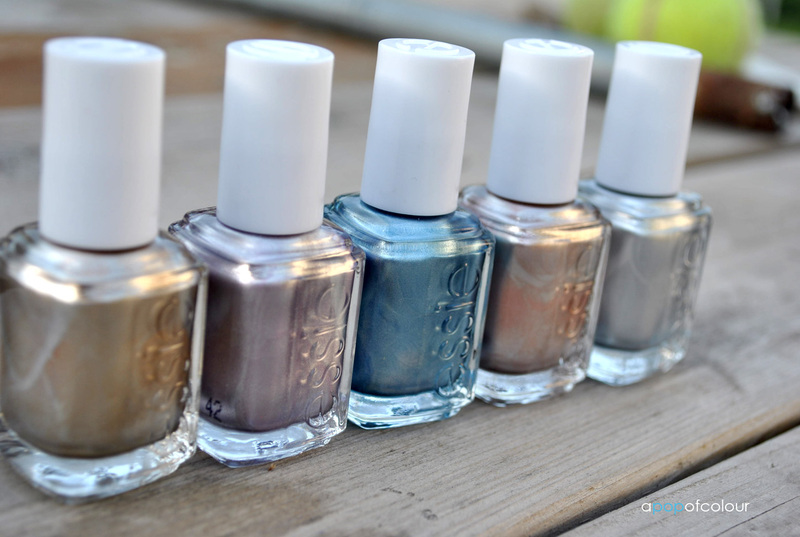 Have you tried Essie’s Mirror Metallic collection? Any idea when these colors are going to be available in the stores? I live in West Hollywood, CA and none of the stores have them yet. I called Essie and the customer service rep didn’t know either. I believe they are set to be launched in July 2012.